Children make up an estimated 25% of all Lyme disease cases in the U.S., according to the Centers for Disease Control and Prevention (CDC). The highest number of reported cases occurs among boys ages 5 to 9 years old. [1, 2] Despite the oft-made recommendation for tick checks, the number of children and adolescents developing Lyme disease continues to rise.Now, a new study, published in Vector Borne Zoonotic Diseases, looks at the incidence of tick bites among various age groups and the associated risk of exposure to tick-borne diseases. The study’s authors also found the ticks were co-infected. 0.4% were co-infected by A. phagocytophilum and B. microti. Triple co-infections were found in 0.3% of the ticks, reported Xu and colleagues. The investigators did not check for other infections, such as Bartonella henselae or Borrelia miyamotoi. The most bites were reported in the Spring and Fall when children are participating in school activities and sports. “1700 adult ticks that displayed two discrete peaks: the April – June peak representing questing activity of the overwintering population and the October – December peak representing large autumnal populations.”  Between April and October, 360 nymphs were received, with a clear peak in June. The rate of engorged ticks is arguably the best measure of success or failure of tick bite prevention methods since ticks typically do not become engorged for at least 24 hours. According to one study, 35.6% of attached ticks are engorged in children younger than 9 years. When one in three children have an engorged tick attached and studies indicate the chances increase of developing LD from an engorged tick increases 20-fold , then it’s a good indicator that preventive measures are not working. Another group of investigators offers insight into why children are still being bitten by ticks. A school-based intervention program was offered to 1,562 elementary children. Answers to several questions demonstrate the need for ongoing educational efforts on tick bite preventative measures. When asked “How often do you check yourself for ticks?” 56.8% of the children responded “sometimes,” while only 12% answered “always” and 25.8% responded “usually.” When asked “Who helps you check for ticks most of the time?” 77.8% responded “grownup at home,” while 14.6% said “themselves.” Only 2% said a grownup at school checked for ticks, while 4.4% did not check at all. In short, deer ticks keep biting our children and potentially exposing them to harmful bacterium that cause Lyme and other tick-borne diseases. “As long as there are no effective measures for controlling tick populations and there is no vaccine available, we rely solely on health education and communication efforts to prevent tick bites and Lyme Borreliosis (LB)” writes Beaujean, Centre for Infectious Disease Control, National Institute for Public Health and the Environment Bilthoven, the Netherlands in Vector Borne Zoonotic Diseases. 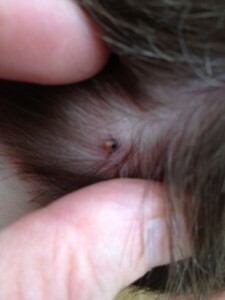 To learn about the dangers in being bitten by a partially fed tick (not fully engorged), where infection is postulated to occur in less than 6 hours, read Have you been bitten by a partially fed tick? 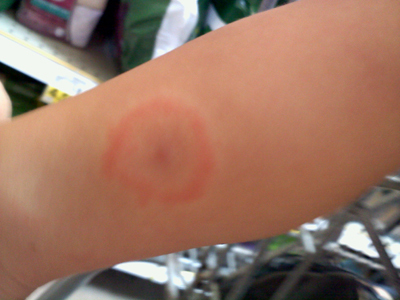 Read more about children and Lyme disease. 1. Bacon RM, Kugeler KJ, Mead PS. Surveillance for Lyme disease–United States, 1992-2006. MMWR Surveill Summ, 57(10), 1-9 (2008). 2. Cordes FS, Roversi P, Kraiczy P et al. A novel fold for the factor H-binding protein BbCRASP-1 of Borrelia burgdorferi. Nat Struct Mol Biol, 12(3), 276-277 (2005). 3. Preventing Tick Bites on People by Centers for Disease Control and Prevention at https://www.cdc.gov/lyme/prev/on_people.html. (Last accessed 8/14/16). 4. Xu G, Mather TN, Hollingsworth CS, Rich SM. Passive Surveillance of Ixodes scapularis (Say), Their Biting Activity, and Associated Pathogens in Massachusetts. Vector Borne Zoonotic Dis, 16(8), 520-527 (2016). 5. Falco RC, Fish D, Piesman J. Duration of tick bites in a Lyme disease-endemic area. Am J Epidemiol, 143(2), 187-192 (1996). 6. Sood SK. Lyme disease in children. Infect Dis Clin North Am, 29(2), 281-294 (2015). 7. Shadick NA, Zibit MJ, Nardone E, DeMaria A, Jr., Iannaccone CK, Cui J. A School-Based Intervention to Increase Lyme Disease Preventive Measures Among Elementary School-Aged Children. Vector Borne Zoonotic Dis, 16(8), 507-515 (2016). 8. Beaujean D, Crutzen R, Kengen C, van Steenbergen J, Ruwaard D. Increase in Ticks and Lyme Borreliosis, Yet Research into Its Prevention on the Wane. Vector Borne Zoonotic Dis, 16(5), 349-351 (2016). No Replies to "Tick bite prevention methods are failing our children"